New Life Fellowship in Queens, New York, had it all: powerful teaching, dynamic ministries, an impressive growth rate, and a vision to do great works for God. Things looked good-but beneath the surface, circumstances were more than just brewing. They were about to boil over, forcing Peter Scazzero to confront needs in his church and himself that went deeper than he'd ever imagined. What he learned about the vital link between emotional health, relational depth, and spiritual maturity can shed new light on painful problems in your own church. In this revised and expanded edition of his Gold Medallion Award-winning book, Scazzero shares refreshing new insights and a different and challenging slant on what it takes to lead your congregation to wholeness and maturity in Christ. Our churches are in trouble, says Scazzero. This new edition shares powerful insights on how contemplative spirituality can help you and your church slow down-an integral key to spiritual and emotional health. 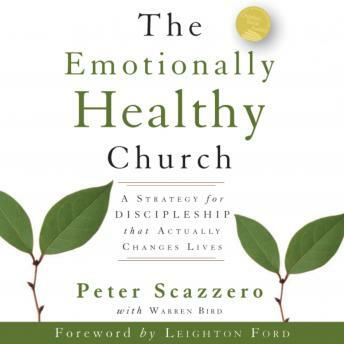 The Emotionally Healthy Church, Expanded Edition includes story after story of people at New Life whose lives have been changed by the concepts in this book. Open these pages and find out how your church can turn a new corner on the road to spiritual maturity.